Officially, Adolf Hitler killed himself at the end of WWII in a bunker in Berlin. However, that has not stopped conspiracy theorists from hypothesizing that Hitler survived in 1945 and that he and Eva Braun went to Argentina and were protected by the government there. An official FBI memo, dated September 21, 1945, details a meeting between two men. One of the men claimed to have met Hitler in Argentina three months after he supposedly killed himself. On April 30, 1945, Hitler shot himself in the head, while hiding in his bunker from the extensive Allied bombing campaign on Berlin. Braun, his wife, killed herself with a cyanide capsule. Hitler’s will stated their bodies were to be burned. The remains were kept hidden until 1970 when they were cremated, and the ashes scattered. That is the accepted account of Hitler’s death and what happened to his remains afterward. But, more than 70 years later, people still believe there is more to the story. Specifically, many believe the couple fled to Argentina, living their remaining years together being protected by the Argentine government. 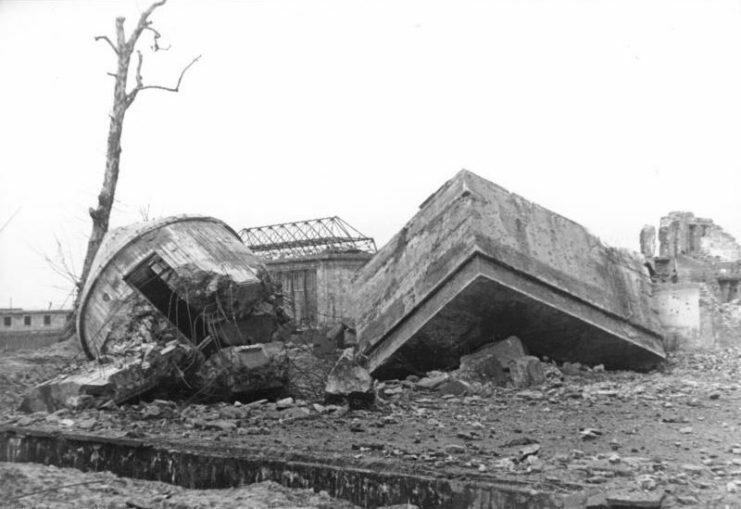 July 1947 photo of the rear entrance to the Führerbunker in the garden of the Reich Chancellery. Photo: Bundesarchiv, Bild 183-V04744 / CC-BY-SA 3.0. Documents have been released that tell a different tale to the official version. They show faked suicides and an escape to South America. One of the documents states the FBI spotted a submarine off the coast of Argentina bringing top-level Nazis to the country. In return for political asylum, unnamed individuals allegedly told the FBI they had information about those officers. One claimed that he was one of four men who met the submarines (he claimed there had been two, not one). Top-level Nazis were on the first sub. Hitler and Braun were on the second. According to the man’s testimony, the Argentines were very welcoming to Hitler and his wife, offering them full protection. 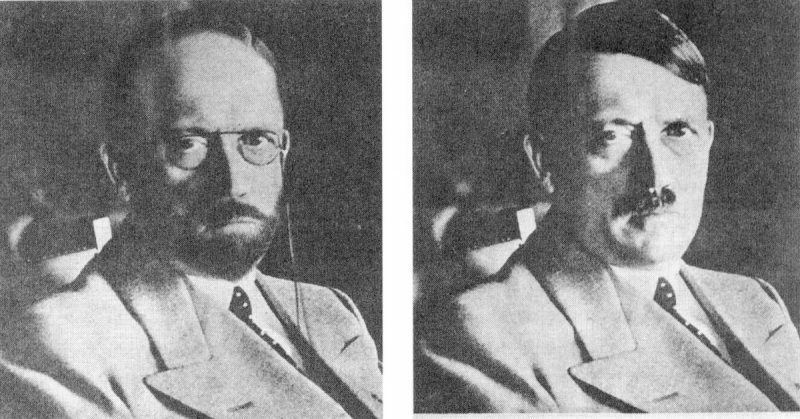 The picture depicts two versions of a photograph of Adolf Hitler that was retouched by an artist of the United States Secret Service in 1944 in order to show how Hitler may disguise himself to escape capture after Germany’s defeat. Since Hitler’s death was not a certainty in 1945 the pictures were posted up all over Germany in 1945 to ease finding the (potentially) “fugitive” dictator. The man’s eyewitness account had many details that seem to lend credence to his story, including physical facts about Hitler himself. For some reason, the man’s name has been redacted from all official documents. The FBI never followed up on any of his leads which has intensified the belief of conspiracy theorists. The first man to claim Hitler was dead, was the man chosen to succeed him which means Hitler was pronounced dead by someone who had something to gain. Someone whom the Allies were more likely to negotiate terms of surrender with, including the potential release of Soviet prisoners of war. 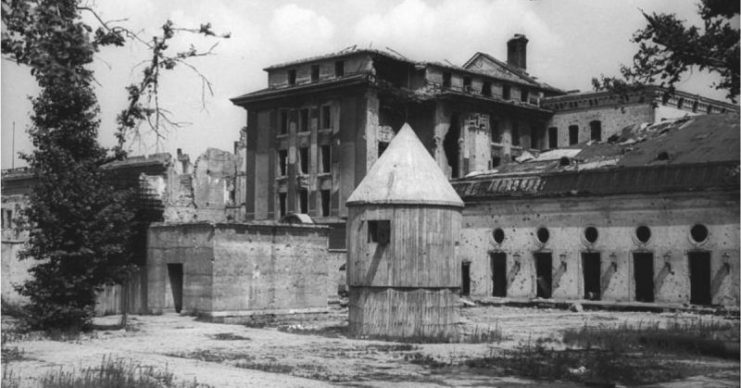 The ruined Führerbunker complex, where Hitler spent his last days in Berlin. Photo: Bundesarchiv, Bild 183-M1204-319 / Donath, Otto / CC-BY-SA 3.0. To add to the mystery, Hitler’s and Braun’s bodies were burned beyond recognition before any Allied soldiers could see them. When Stalin demanded Hitler’s body to be released, his soldiers were directed to two charred bodies in a crater outside the bunker. Stalin was never convinced they were Hitler and Braun. Despite calming the public’s fears by announcing Hitler’s death, officials were reticent to believe he had really died. The Stars and Stripes newspaper reported in 1945 that even General Dwight Eisenhower thought Hitler was living in Argentina. Unfortunately, we do not have access to information the FBI has not released. The accepted version remains that Hitler and his wife killed themselves in 1945. However, there is just as much evidence proving this story is true as there is evidence giving credibility to the Argentina theory. Also, there are several other theories about Hitler’s whereabouts – each less likely than the last. It seems the FBI could have laid the matter to rest seventy years ago. If they had bothered to follow up on all their leads they could have provided conclusive evidence that Hitler did indeed die in Berlin in 1945.